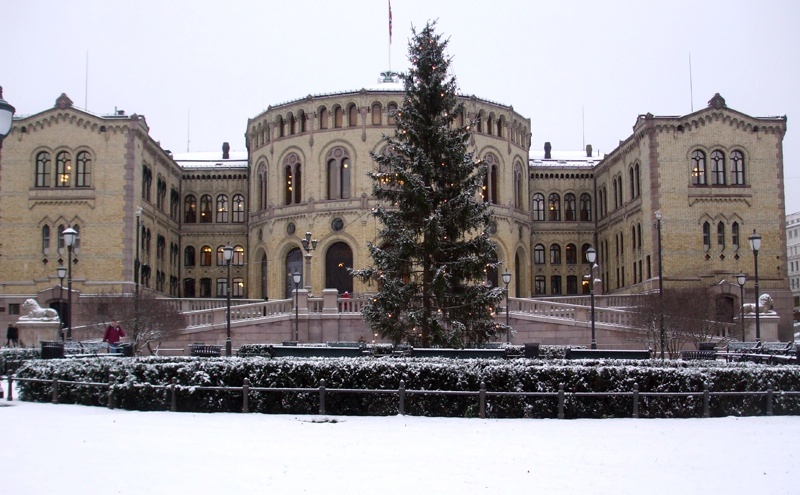 Norway is a constitutional monarchy and divides state power between the Parliament, the Cabinet, and the Supreme Court. The signing of the constitution in 1814 was an important milestone for modern Norway, although full independence from Sweden was not achieved until 1905. The constitutional monarchy is led by King Harald V. In practice the king has very little political power, as all legislative power resides in the elected Parliament led by a Prime Minister. Despite this, Norway’s Royal Family remains popular throughout the country. Norway’s multi-party system tends to result in coalition governments although the Labour Party (Arbeiderpartiet) has traditionally seen the most success. Since World War II, Labour Party governments have often relied on the support of other socialist and left-leaning parties to form a Government. However, in 2013 the Conservative (Høyre) leader Erna Solberg was able to form a center-right coalition with the Progress Party (Fremskrittspartiet), even though the Labour Party won 30.8% of the popular vote and won the most seats. Currently, eight parties are represented within the Norwegian Parliament. Currently, Norway is divided into 19 fylker (counties). In addition to Nord- and Sør-Trøndelag which are due to merge in 2018, there is Østfold, Akershus, Oslo, Hedmark, Oppdal, Buskerud, Vestfold, Telemark, Aust-Agder, Vest-Agder, Rogaland, Hordaland, Sogn og Fjordane, Møre og Romsdal, Nordland, Troms and Finnmark. Svalbard and Jan Mayen is administered outside of the fylke system. Norway is not a member of the European Union, although through its membership of the European Economic Area (EEA), Norway is closely linked to the activities of the EU. Generally speaking, Norwegians trust in their political process and therefore turnout at both general and local elections is relatively high.